The two most common fears known to man are death and public speaking. Believe it or not, visiting the dentist isn’t far behind. But, it isn’t the pain that patients lose sleep over – it’s the lack of control. Patients must remember that dentists undergo a minimum of 8 years of schooling before being certified. In other words, a dentist isn’t allowed to operate on one’s mouth without being a true expert of the craft. However, even when patients know and understand a dentist’s expertise, they continue to feel uneasy about making the visit. Just as with anything in life, there are solutions to the problem. The dentist and patient must work together. 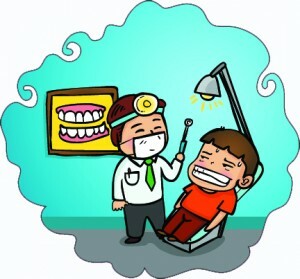 A patient afraid of the dentist must outline his needs and concerns before the dentist does his/her job. Therefore, the patient must not be afraid to tell the dentist when to soften up, even when dental tools are in their mouth. They shouldn’t be embarrassed to make weird noises if the dentist pokes a gum with too much pressure. The most important thing a dentist can do is give control and power to the patient. Beforehand, the dentist will explain what the patient may feel during and after the procedure. This way the fear of the unknown is thrown out the window. After every 5-10 minutes, the dentist will ask the patient if he/she may proceed. The dentist may also set up a special cue for the patient if the procedure at all becomes uncomfortable. (Many dentists tell the patient to raise his/her left hand when they feel discomfort). A dentist who only operates on one’s mouth is a one trick pony. Half of the battle as a dentist is making their patient feel comfortable. People skills are just as important as dental skills. Most fears stem from the fear of the unknown. People are afraid of death because they are unsure of the specifics of afterlife. People are afraid of public speaking because they are speaking in front of a group of people they haven’t developed a strong relationship with. Less people will fear the dentist if they know that they are in control. If you need to overcome the fear of visiting the dentist, don’t be afraid to tell us. We will work with you to make you feel as comfortable as possible. Our SF office was just featured in….